Byron Johnson-Blanchard is a drummer, composer, bandleader, and music educator based out of the Twin Cites. 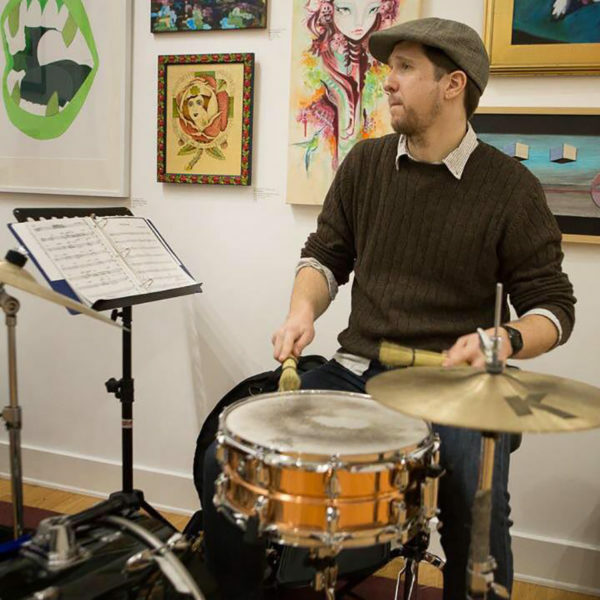 Since graduating from McNally Smith College of Music in 2008, Byron has performed with renown Twin Cites musical acts such as High & Mighty, Tom Hunter, The Dap Squad, Sam Kuusisto, Vintage Raggs, Zacc Harris, Mill City Hot Club, and Papa John Kolstad. He is currently a member of Silverback Trio and BZB Trio. Byron also leads and composes for Amethyst 3, a trio that features Park Evans on guitar and Josh Granowski on bass.